Smoke cloaking does exactly what it says on the tin – provides a security fog that offers instant protection. It’s activated as soon as a break-in is detected and within seconds, the protected area is filled with an impenetrable cloud of fog, providing an effective barrier. Although the white vapour that’s released is harmless, it acts to reduce visibility and force any intruder to leave the building. Essentially it prevents or delays intruders from gaining access to protected areas ... and that can only be a good thing! The system is controlled by a timer or sensor, which ensures the correct “fill” of the room, a process that takes around 30 seconds. It can be automatically disabled when the main alarm system is turned off. Shebang Security can provide you with a range of solutions to suit your needs and budget. Shebang Security is proud to offer smoke cloaking technology, which is currently securing billions of pounds worth of stock in the United Kingdom. 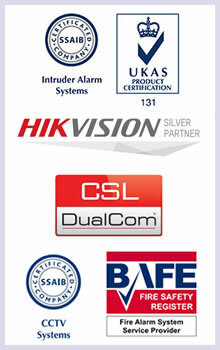 There is a range of different systems and we can advise on what will work best for your security requirements.